These are the Form based Difficulty chart for Game Weeks 33-36. Also included is the latest form breakdown for Home and Away games. More discussion can be found at /r/FantasyMLS. Feedback and suggestions are always welcomed. You can also reach us on Twitter at @FantasyMLStips. 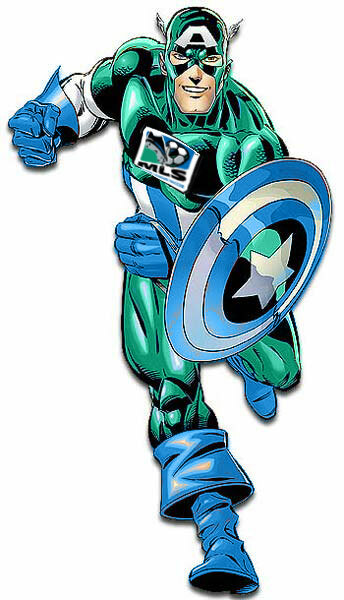 Be sure to stop by /r/FantasyMLS if you have specific questions and see what others in the Fantasy MLS community think. So this is something new that I am trying. I’ve been familiar with the idea of Strength of Schedule calculations for a while now, and had been looking for a way to calculate something for MLS Fantasy. After reading the articles at Football Glamour, I decided to try to figure out the ELO system. After several weeks of research and tinkering, I’ve come up with something that I’m happy with and am ready to post for feedback. If it goes over well, I’ll post an explanation with more details in the future. Also, I have only ranked the teams, if you want to see more information about individual players, take a trip to Football Glamour. He has everything broken down by position and Fantasy Premier League info too. Don’t forget, the transfer deadline is Today at 7:45 so be sure to get all of your trades in and captain set. Well here we are, Week 32. If I can borrow a term from horse racing, we’re in the home stretch now. If you have not already noticed, significant jumps from points are getting hard to come by so proper planning of trades will be important, but also keeping an eye on the injury report can be critical. This is a very tough week with many strong teams having away games, tough matches, or are unable to field key players due to injury. These are the Form based Difficulty chart for Game Weeks 32-36. Also included is the latest form breakdown for Home and Away games. More discussion can be found at /r/FantasyMLS. Feedback and suggestions are always welcomed. You can also reach us on Twitter at @FantasyMLStips. Don’t forget, the transfer deadline is Today at 9:45 so be sure to get all of your trades in and captain set. The other day I posted my picks on the top Keepers and Defenders for this week. Now it’s time to cover the other half of the field. I’ve tried to focus on differential players as much as I can for this writeup. At this point of the fantasy season, that’s really your only hope of making gains on your competition (especially if you are in the top 200).